Adds 3 army bodyguards to help the player in each sector x mission. They will always help you and stay with you. 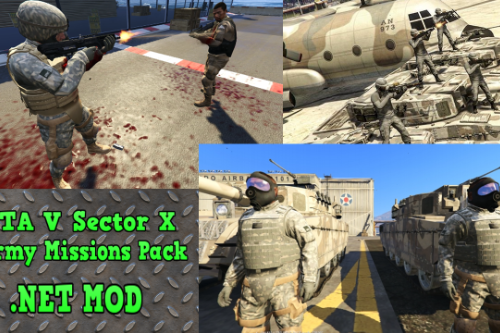 v2.00 full version is being worked on, it will have 10 missions all focusing on the terrorist SKULLHOUND storyline, there will be no more missions for that one after that.